Despite a decent number of hometown faces (Hillary Knight, Shani Davis, etc. ), the Winter Olympics wasn’t the bonanza NBC-owned WMAQ-TV hoped it would be. But it did provide a boost to the station’s late newscasts in the key 25-54 demo. As reported by Sports Media Watch, Salt Lake City (KSL, 21.3) topped Olympic Nielsen ratings and the top markets were dominated by cities in the Mountain and Pacific Time Zones. This may be due to the Winter Olympics airing coast-to-coast for the first time, with additional coverage in primetime for those viewers. KSL had long been the dominant station in Salt Lake City, though in recent years slipped behind CBS affiliate KUTV in the local news race. As far as Chicago is concerned, the numbers were less jubilant. WMAQ could muster only a 12.8 household rating for a 27th place finish, behind of all places, Los Angeles (KNBC, 19.2) who finished nineteenth. Typical Chicago winter weather (i.e. a huge snowstorm) keep viewers in on February 9 when the Opening Ceremonies took place, but faced competition from other local stations’ storm coverage. The average rating was below those of most Bears games – despite the woeful season the team had in 2017 and a few Cubs playoff games, but bested regular-season Bulls and Blackhawks games by a wide margin. Both struggling teams are in last place in their respective NBA and NHL divisions. Another factor in the disappointing ratings were many Chicagoans are still sour about losing the 2016 Summer Games to Rio and refused to watched the Olympics despite a decent number of hometown talent participating. In 2012, the London Summer Olympics also produced tepid results, placing 26th. The games provided a strong lead-in to WMAQ’s late newscasts during the Olympics, finishing first in the key 25-54 demos – but in households, ABC-owned WLS-TV took home the gold, with a 7 household rating compared to WMAQ’s 6.3. As history indicates, don’t look for WMAQ to get any long-term benefit from the ratings boost – in 2014, WMAQ’s ratings gains from the Sochi book were wiped out by the May book. Despite the 25-54 success, WMAQ’s performance has to considered a disappointment, given CBS-owned WBBM-TV and WGN’s 10 p.m. news numbers weren’t effected. Nationally, the Winter Games drew 17.8 million viewers in primetime (NBC only), down 17 percent from the 2014 Sochi games. The Comcast-owned network said streaming options and NBCSN helped make the games profitable and with those numbers added in, was only down seven percent. 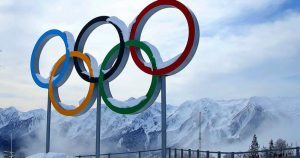 The other networks – both broadcast and cable – decided to waive the white flag, sending non-Olympics viewers to Netflix or other streaming options. Non-Olympic fans weren’t happy the networks went into repeat mode, or airing “alternative” programming, such as Celebrity Big Brother or The Bachelor Winter Games. A few shows, such as CBS’ 60 Minutes, Bravo’s The Real Housewives of Atlanta and Showtime’s The Chi, were in originals during the Olympic period. One notable program – a town hall meeting on gun violence on CNN February 21 in response to the Parkland, Fla. school tragedy, drew nearly three million viewers opposite the Olympics – even siphoning viewers away from the games. The event also aired on several broadcast stations throughout Florida. The reason Denver and Salt Lake always go big with Olympics – winter in particular – is the lifestyle. Everybody skis/snowboards/bikes/etc. so there is huge interest and participation in the various sports. The USOC is based in Colorado Springs, which is about an hour south of Denver. Not uncommon to see Olympic hopefuls training in the region. All of that builds tremendous buzz, which is why KUSA usually kills it in the ratings.